Tottenham Hotspur and Arsenal are reportedly among the leading clubs in the running to sign Ivan Perisic from Inter Milan at the end of the season. The Croatia international was heavily linked with the Gunners during the last transfer window, but he was denied a move after the club failed to reach an agreement with the Nerazzurri. 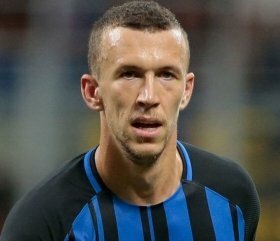 Perisic has continued his duties as usual with the Serie A side, but there remain doubts whether he would stay put with the Italian giants beyond this summer's transfer window. According to Corriere dello Sport, the north London rivals are keeping a close watch on the proceedings of the 30-year-old, who could be permitted to make the switch away from San Siro this summer. Perisic has endured a difficult campaign by his standards in the Serie A this term and he has managed just five goals and three assists heading into the final stages of the campaign. Inter are currently considering an approach for PSV Eindhoven's Steven Bergwijn and Perisic's sale is likely to provide them with additional funds to push through a deal for the Netherlands international.